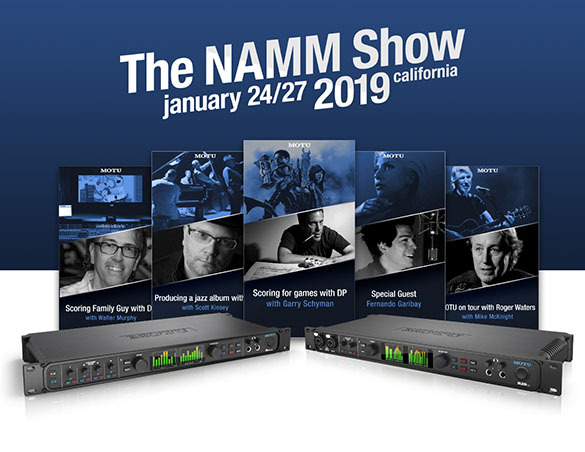 NAMM 2019 (#namm2019) will be held January 24-27 at the Anaheim Convention Center. The MOTU booth (#15908) stands near the main entrance to the new North Hall (lower level), so be sure to swing by and check out the new audio technology neighborhood established there. 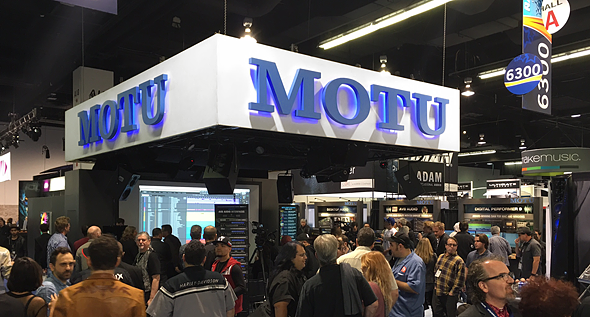 MOTU will be running a full schedule of presentations each day, featuring in-depth clinics and special guests you won't want to miss.